Air gages were the first high accuracy shop floor measuring solution. They originated in the 1940’s and for the first time accuracies of up to .000010” were possible using a combination of air and water. Since then, air gages have come a long way. They are capable of 5u” repeatable measurements, can be used by inexperienced operators and are non-contact so they won’t scratch your part (or wear out your air gage). They also have the nifty feature of providing some self-cleaning capabilities due to the positive air pressure at the jets. Air Gages can be used in both internal and external measuring applications and can be manufactured with multiple jets at different levels and in different orientations. 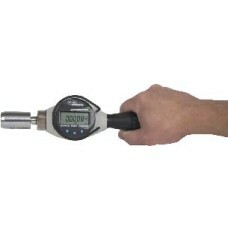 Average diameter, taper angle, lobing, tri-lobing and more are easily measured with air gages. The air gage is a truly a versatile and accurate measuring instrument! These systems are now on sale at Gaging.com. Please contact us with any application questions! 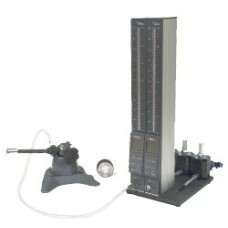 With 100,000's of successful applications to their name, Mahr Dimensionair Air Gages are widely re.. The Micro Dimensionair/ uDimensionair is a trully inovative air gaging product that allows th..